Massachusetts is at a crossroads. For years, leaders at the highest levels of state government have been promising to take on comprehensive criminal justice reform; to mine the data, to develop policies based on what we need and what is proven to work, and to bring these proposals forward for a vote. In the summer of 2015, we saw a first step in this direction when the Speaker of the House, the Senate President, the Governor, and the Chief Justice of the Supreme Judicial Court united to commission the Council of State Governments (CSG) to review and analyze our criminal justice system data and the outcomes we are producing. What the CSG found was staggering. Fewer than half of those incarcerated in state prisons complete the recidivism-reduction programming recommended for them prior to their release. People involved in the criminal justice system (at every stage) have high substance abuse and/or mental health treatment needs that are going unaddressed. Our state lacks a standardized system for collecting data at all levels of the justice system, making tracking trends and outcomes difficult. Of course, making changes to all of these aspects of our system should be a priority. But what the CSG didn’t find, or rather, what it was never tasked with looking into, is just as troubling. Absent from the CSG study was any focus on front-end problems, like the cash-bail and pretrial process, or sentencing reforms, like eliminating mandatory minimum sentences in drug cases and raising the felony threshold for low-level property crimes. Without a holistic look at how our justice system operates, from the beginning of the pipeline to the end, we are bound to continue the kinds of costly, racially disproportionate, and unjust policies that have brought us to the realities we’re facing today. While Massachusetts is sometimes lauded for a low overall incarceration rate compared to other states, we must look, again, at what this perspective leaves out. Incarceration in every US state is significantly higher than in many other countries. Our own incarceration rate has tripled since the 1980s, before the “tough on crime” era picked up steam, and exceeds that of China, Canada, and Germany by significant margins. For some perspective, if the Bay State was a country, we’d be among the top 15% highest per capita incarcerators in the world. Where our own residents are concerned, decades of racially biased sentencing policies have had an overwhelming and irrefutable impact on communities of color, both in regard to the individuals we are locking up and to the neighborhoods they leave behind. While Blacks and Latinos make up less than one-fifth of the state population, they account for more than half of the incarcerated population in our state, and they represent about 75% of those convicted of drug crimes that carry a mandatory minimum sentence. Addressing these issues must also be a priority. Following the release of the CSG report in February, which provided a starting point of “low hanging fruit” criminal justice investments, and looking forward to the public hearings on a variety of criminal justice proposals slated to commence in the coming months, we must make a collective decision to make comprehensive reform a real priority. We must fight for a package that includes pretrial and sentencing reforms at its core, and we must do it this session. I was proud to join my colleagues in the Black and Latino Legislative Caucus, the House Progressive Caucus, the Harm Reduction and Drug Law Reform Caucus, and the Women’s Caucus’s Justice Involved Women’s Task Force at a press conference last week to stake out this agenda in the legislature. It is going to take a significant effort on our part to maintain this momentum, and to work with House and Senate Leadership to craft legislation that will accomplish our goals. But there is no issue more worthy of our efforts, and no time left for inaction. This entry was posted in Uncategorized and tagged Council of State Governments, CSG, justice, Mass., massachusetts, May 15 meeting, reform, Sonia Chang-Diaz on May 1, 2017 by Susan. STATE HOUSE, BOSTON, DEC. 15, 2016…Inmates released from prison who are placed on probation should not need to pay fees for their supervision, the chief justice of the district court said Wednesday. “The imposition of a fee at that point in time, a probation fee, is counter to rehabilitative efforts, and we’ve seen some evidence it interferes with employment, with housing,” District Court Chief Justice Paul Dawley told the Governor’s Council during a hearing. Dawley led a court system working group on judicial reforms, producing a report Nov. 17 that the chief justice said had been shared with Gov. Charlie Baker, House Speaker Robert DeLeo and Senate President Stan Rosenberg. “It’s been positively received by all three,” Dawley said Wednesday. The Big Three have also collaborated with Supreme Judicial Court Chief Justice Ralph Gants on developing a justice system reform package for next session. Policymakers are eyeing ways to reduce recidivism, cut down on incarceration and related costs, and deliver more supports to individuals before and after they are released from jails and prisons. Revenue constraints loom as a potential obstacle to more expansive pre- and post-incarceration services, as state officials are in the midst of a midyear budget reductions and the appetite for new or higher taxes on Beacon Hill appears low. On Tuesday the Jobs Not Jails coalition rallied in Boston for the elimination of mandatory minimum sentences for non-violent drug crimes while worrying that the coming reforms would only result in “tinkering” with the laws and changes to probation and parole. On Wednesday, appearing on behalf of attorney Sarah Ellis’s nomination to the Woburn District Court, Dawley said state laws currently force the assessment of certain fees on defendants regardless of their ability to pay. In public speeches, Gants has also questioned the fees imposed on defendants. According to the working group, people placed on probation are charged either $65 or $50 per month. In some cases, defendants released from incarceration can be assessed monthly fees for both parole and probation supervision, according to the report. The group, which was led by Dawley and counted Ellis as a member, recommended the court explore the feasibility of allowing defendants to establish payment plans, develop a remote-access electronic payment system, and adopt a policy requiring judges to appoint attorneys for indigent defendants in proceedings when the enforcement of fees and fines related to a criminal case could lead to incarceration. In fiscal 2016, the Trial Court collected $99.9 million in fines, fees and court costs in 30 collection categories, while also assessing $73.9 million in restitution, and ordering $1.4 million in forfeited bail money turned over to the General Fund. “There’s no judge in our system that wants to sit there all day and collect money,” Dawley said. Jubinville recalled a time he spent in court in recent months where he saw a judge repeatedly order people to be locked up for failure to make payments. The working group suggested changes to the “several statutes” that prohibit judges from ordering waivers on specific fines and fees. As an example of a non-waivable fee it would like to see changed, the group noted a $250 head injury assessment for driving under the influence of drugs or liquor. The group wants changes to a law last amended in 1987 that applies to people incarcerated for failing to pay fines. Current law allows people to “work off” the amount they owe, receiving $30 off the balance owed for every day incarcerated. The working group calculated that $30 in 1987 would be worth $64.21 today. The working group also recommended development of a single standard that could be used by a judge in determining whether to waive a fee based on a person’s inability to pay. For assistance with your subscription to the State House News Service, reply to this message or e-mailnews@statehousenews.com. This entry was posted in Re-entry and tagged Chief Justice Ralph Gants, Council of State Governments, CSG, fees, Gov. Charlie Baker, House Speaker Robert DeLeo and Senate President Stan Rosenberg., massachusetts, Paul Dawley, recidivism on December 20, 2016 by Susan. You may have heard about the Council of State Governments [CSG] recommendations to come on justice/corrections systems in Massachusetts to be proposed when the new 18-month legislative session opens in January on Beacon Hill. Join a statewide EMIT call on Monday, Dec 12, 7-8 pm to learn more about this critical legislation. EMIT leaders Laura Wagner and Dirck Stryker will lead the discussion. Your questions and comments are welcome. Here’s more information on the Monday call and Tuesday rally downtown led by EMIT’s partners, the Jobs not Jails coalition. The Governor, Speaker, Senate President, and Chief Justice will JOINTLY file a bill in mid-January on criminal justice reform. It will include some of the recommendations of a CSG report on the criminal justice system in Massachusetts to be released when their bill is filed. a. The Good News–This elevates criminal justice reform to being a “must pass” a bill situation given the Governor, Senate President, House Speaker and Chief Justice are behind it. b. THE CHALLENGE: The bill they file will likely NOT strong enough and focus on probation, parole, and recidivism. It will likely ignore the repeal of long mandatory minimum sentences on non-violent drug offenders etc. 1. Attend the Rally / Press Conference on December 13 at 10:00. 3. 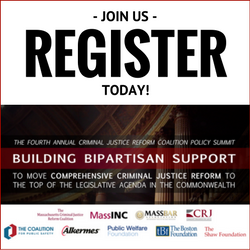 In March 2017, the coalition will organize six major public action meetings in Boston, Brockton, New Bedford, Worcester, Springfield, Lynn, Lowell to show large-scale public support from major criminal justice reform and engage legislators, mayor, sheriffs, police chiefs. This entry was posted in advocate, recidivism, state laws, Statehouse and tagged Council of State Governments, CSG, jobs not jails, MA, massachusetts on December 5, 2016 by Susan. Sign a petition to end the unfair Electoral College that delivered Bush II and Trump, whose opponents won the popular vote. This antiquated tradition emanates from 1776 when our wealthy white founding fathers deemed that the people could not be trusted with the responsibility to directly elected the president. If California had its proportional number of electoral college 200 votes, instead of a measly 50, we would be feeling less afraid today for America’s future. Click here to learn more and make others aware of the necessity to dump the Electoral College. SAVE Monday, Dec. 12, 7-8 pm. Join a statewide EMIT conference call to hear updates on the Council of State Government’s process to evaluate our justice/corrections systems, AND what legislation they are proposing to Beacon Hill, based on their neutral research. SAVE Tuesday, Dec. 13, 10 am, Boston. Join our allies, Jobs not Jails, at a rally/press conference across from the State House at 140 Bowdoin Street, Church of the New Jerusalem to call on the four state leaders filing the criminal justice reform to include the six proposals of the Jobs NOT Jails Coalition. Make our votes count – other states give hope for 2018 election — in this article from The Nation. In Massachusetts, 14 district attorneys will be up for re-election. We need to support alternative candidates who do not intimidate the accused and force plea deals to avoid trials. We have the power to elect sane district attorneys who embrace restorative justice. Many Massachusetts sheriffs ran with no opponent for 6-year terms. We must levereage our power through voting and running for office. For progressives, winter came early this year. It started around 8:30 pm on Tuesday, November 8 and has been growing steadily colder ever since. Republican control of the White House, the House of Representatives, and the Senate, does not bode well for a range of issues close to the heart of American progressivism, from health care to immigration to the environment. Henderson’s victory in Birmingham is no fluke. Until last year, district-attorney races tended to fly under the public radar. Elected prosecutors were routinely reelected, often running unopposed and, as a result, served for decades. When they did bother to campaign, their slogans frequently highlighted a record of sending as many people to prison for as long as possible. But that recipe for electoral success is changing. And, with increased attention to these races from extraordinary faith-based groups, community advocates, and local journalists, as well as an influx of support from national donors such as George Soros, progressive challengers are gaining footholds in local races across the country. In Harris County, Texas, which includes Houston, Republican Devon Anderson lost her seat to challenger Kim Ogg, who has promised to overhaul drug prosecutions and has criticized the DA’s office for seeking the death penalty too often. The same basic story emerged in Hillsborough County, Florida, which includes Tampa, where incumbent Republican Mark Ober lost to challenger Andrew Warren. Earlier this year, elected prosecutors lost their primary races to more progressive, reform-minded candidates in Albuquerque, Chicago, Denver, and Jacksonville. In Corpus Christi, Texas, Mark Gonzalez, a criminal-defense lawyer and Democrat with the words “NOT GUILTY” tattooed on his chest, became the district attorney–elect this week. These local electoral victories are not limited to prosecutor races. 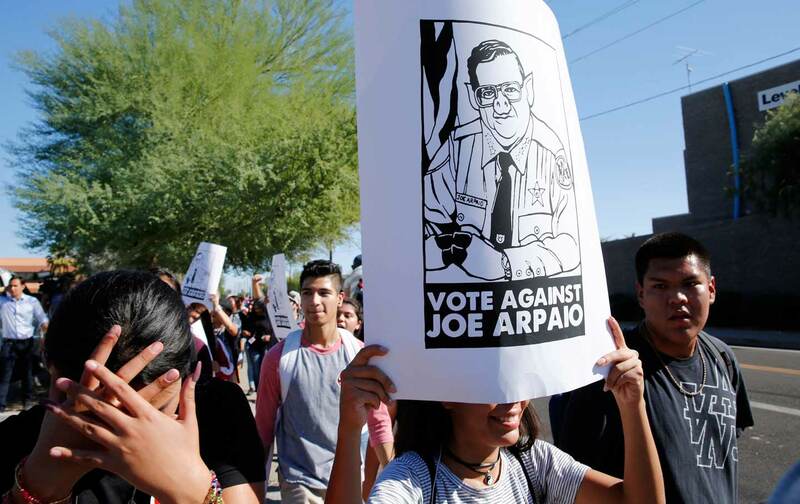 In Maricopa County, Arizona, Sheriff Joe Arpaio, infamous for his fearmongering, cruel and degrading tactics, and barbaric crackdown on immigrants, lost his election. The Harris County sheriff was defeated as well. Nor does the momentum for reform within local district-attorney and sheriff offices exclusively revolve around elections. In Seattle, a partnership among community groups, the public defender, law enforcement, and the King County District Attorney’s Office led to the creation of the Law Enforcement Assisted Diversion program, which steers people arrested for drug offenses and prostitution away from prosecution and into services aimed at decreasing recidivism such as drug treatment and job training. LEAD, which began in Seattle in 2011, spread to Santa Fe, New Mexico, in 2014, and to Albany, New York, earlier this year. These victories represent tangible progress in the ongoing struggle among a dedicated band of progressive advocates in the fight for a more humane and sensible justice system, one that strives to keep us safe while simultaneously treating people fairly and conserving taxpayer dollars. More importantly, though, this string of successes shows the enormous promise of focusing on both criminal-justice reform and American progressivism more broadly at the local level. While significant advances in climate change and immigration reform require congressional action, criminal-justice reform is an entirely different beast. The center of gravity for meaningful reform tends to be local. Should police officers use stop and frisk tactics? Conduct invasive raids of homes while investigating nonviolent offenses? Use military style vehicles? Those are decisions made by individual police departments or city councils, and are influenced by community advocates. Should prosecutors ask for bail, and how much? Prosecute nonviolent drug possession cases? Prosecute homelessness related offenses, such as sit-sleep-lie bans? Transfer juveniles to adult court? Seek the death penalty? For those decisions, too, local politics matter. Local criminal-justice reform also serves as a bulwark against the worst impulses of Trumpism. What happens when a Donald Trump Justice Department, perhaps led by Rudolph Giuliani, refuses to intervene when a local police chief suppresses the speech of citizens who are protesting? How about when law enforcement fails to address targeted attacks on our most vulnerable citizens, such as ripping off a Muslim woman’s hijab? Mayors appoint police chiefs. So, here, too, local politics matter. If Trump continues to say that the Central Park Five should be executed, advocate for a national stop-and-frisk program, or claim falsely that the murder rate is at a 45-year high (it is not; in fact, 2015 had one of the lowest rates in 45 years), this use of the bully pulpit may stir local law enforcement and prosecutors into retributive excess. Resources and attention at the local level are an antidote to this fearmongering, allowing advocates and journalists to douse the flames before they can commence a second age of mass incarceration. The election of Donald Trump may send forth global tremors in many areas. But it changes very little on issues related to criminal-justice reform as practiced at the local level. Roughly 50 million people live in just 15 of the counties that Clinton won this week. Some of these counties voted for Clinton by a margin of 2-1. If disheartened citizens and advocates chose to refocus their resources and attention to pushing reforms in these places, they could quickly see significant gains in the battle to end mass incarceration and help secure relief for millions of Americans. Moreover, in 2017, there will be district-attorney races in several progressive strongholds. We know that there are over 100 such races in 2018. And that number does not include sheriff races. Nor does it include city-council members and county commissioners who shape budgets and priorities or mayors who appoint police chiefs. Progressive power could be particularly potent in urban areas, where so many progressive advocates reside, and where the need for reform is profound. Unlike at the federal (and often state) level, the population most burdened by overzealous prosecution and policing also possesses the most power to influence local politics. Criminal-justice reform is not among many progressives’ priorities, but this local analysis shows why it should be. First, in places like Durham, North Carolina, traditional Democratic strongholds with large black populations situated in swing states, investing in local criminal-justice reform could help with voter turnout in 2018 and 2020. Given the narrow margins that tend to accompany wins in states like North Carolina, voter mobilization in these locations is incredibly important for progressives. Investment in criminal-justice reform at the local level creates a strong infrastructure that includes organizers, church leaders and civil-rights organizations. Unlike “out-of-town swoop down” get out the vote efforts, local power in the criminal-justice space draws on strong preexisting relationships, communications channels, and mobilization infrastructure. Most importantly, though, creating the energy to mobilize around local races serves as an insurance policy against national candidates who are less than inspiring. One reason Clinton lost Ohio, Michigan, Pennsylvania, and Wisconsin—all by relatively small margins—is a persistent inability to connect with working-class white voters. Criminal-justice reform is an issue that can bridge this divide. Most people—black, white, brown, and Asian—have a family member, a neighbor, or a friend who struggles with mental illness and addiction. For many of us, and especially for those who struggle financially, those addictions inevitably intersect with the criminal justice system. White people, too, and especially marginalized white people who feel that government has abandoned them, struggle to pay overly punitive fines and fees, languish in jail because they cannot afford unnecessarily high bail, and struggle to find employment after convictions for marijuana possession and other low-level offenses. White people, too, are treated as disposable by the criminal-justice system. There is also an opportunity to connect the massive taxpayer investment in stop-and-frisk and other programs that do not reduce violent crime with overly intrusive government, overzealous and unaccountable public servants, and colossal misuses of resources. Indeed, these are exactly the rationales that have propelled conservatives and libertarians, such as Right on Crime and the Koch brothers, into criminal-justice reform. Finally, focusing on criminal-justice reform, especially at the local level, helps to create a pipeline of future progressive leaders. First, as an issue, criminal-justice reform is particularly compelling and often very personal, especially among those who have watched our broken system destroy the lives of family members and neighbors. A strong, progressive local criminal-justice reform community is able to attract and recruit the next generation of prosecutors, sheriffs, and other local officials. These local officials become powerful in statewide prosecutor and police associations, groups with enormous influence at the statehouse, and often become state legislators, judges, attorney generals, and governors. Kamala Harris, who was elected to the United States Senate this week, is a striking example. She started as the district attorney of San Francisco County, became California’s attorney general, and now she’s headed to Congress. Who knows, perhaps the pathway from criminal-justice reformer to progressive visionary will take her all the way to the White House. This entry was posted in advocacy, criminal justice reform, Electoral College, vote and tagged 2018 election, CSG, district attorney, jobs not jails, Mass., massachusetts, statehouse on November 14, 2016 by Susan.